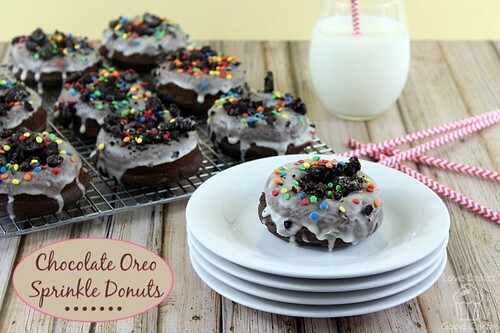 Chocolate Oreo Sprinkle Donuts – I bet that got your attention, didn’t it?! I believe donuts are supposed to have sprinkles – it just make them taste better! 🙂 Of course, throw on some cookies, and you have a dynamite breakfast the whole family will love! I bought some Oreo cookies the other day with the full intention of making a dessert with them. The problem is my mind is so full of ideas, just when I think I have a great recipe, another one pops in my head. These donuts sounded like the perfect way to fight the winter “blahs” …. don’t you agree? In a separate bowl, combine the baking powder, baking soda, cocoa powder and flour. Gradually add to the wet ingredients. After the donuts have cooled, whisk all of the glaze ingredients in a shallow medium bowl. Dip the donuts in the glaze. Sprinkle with Oreo cookies and sprinkles. These look absolutely delicious! I've got a serious chocolate craving, so this is really making my mouth water! 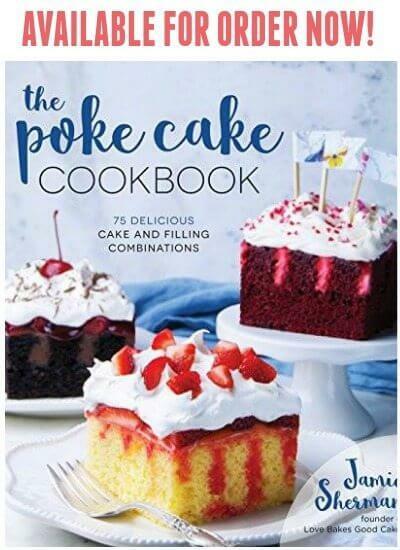 Jamie, These look amazing! Pinning! Those donuts look so good! It always breakfast time somewhere, right? Have pinned it. Jamie, these look like a perfect way to start the day and beat the winter blahs! It's chocolate and fun in one treat! Love it! Thanks for sharing and pinning – hope you are having a great week! Jamie those donuts look amazing! Thanks for sharing the recipe! I'm pinning it. 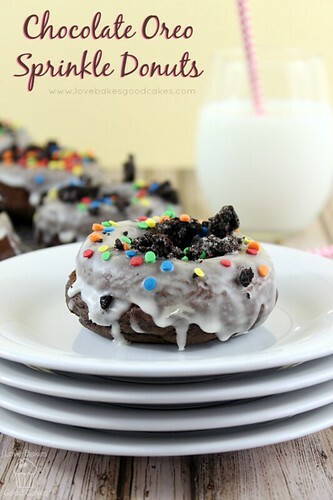 Its close to midnight and you have officially made me crave, chocolate, cookies, and donuts all at the same time 🙂 Fortunately I'm too comfy in my bed to get up and whip up this recipe but I will definitely be trying it soon! These look absolutely amazing! I would LOVE to have you linkup with me for Tasty Tuesdays; I see a feature in your future, yum! I should buy some donut pans. These sound great. G'day! Jamie! Your donuts still look amazing! Your donuts are adorable! Thank you for bringing them to Family Fun Friday! Blessings! Those donuts look amazing! Thanks so much for helping us celebrate Three Years at Full Plate Thursday. Have a good week and come back soon! Oh my Jaime! I would love one of these tomorrow with my morning coffee! 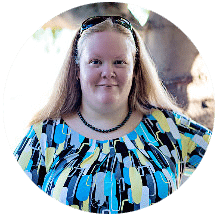 Thanks for sharing at Marvelous Monday – pinned and sharing! 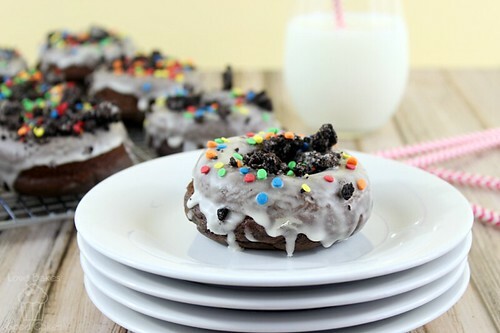 Congratulations Jamie, your Chocolate Oreo Sprinkle Donuts is one of my Top Features from last week's SWLP! 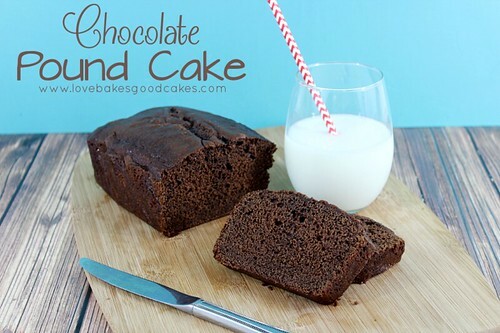 This recipe has also been pinned to my Features from Sweet Wednesday Link Party board. Thanks for linking up, I appreciate you! WOW! These look AMAZING! Thank you so much for sharing! 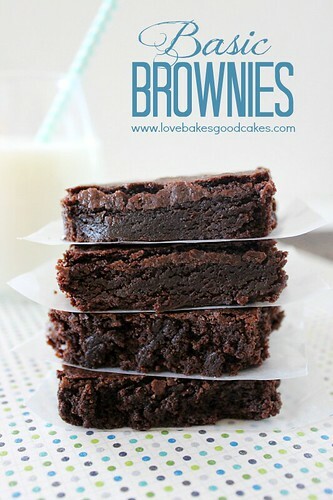 I'm pinning (and drooling) right now!!! !